We have already shared with you the process to submit your blog to Yahoo Search Engine. 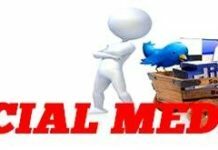 In addition to Search engines, there are some leading blog directories which can bring a lot of traffic to your site / blog. Technorati is one of the leading Search Engines to search blogs and listing your blog to Technorati can prove beneficial for you. 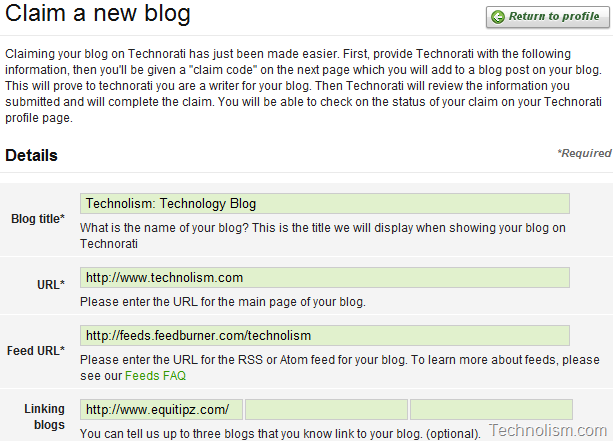 In this article, I have explained the process to claim your blog in Technorati. To start with the process of submitting your blog to Technorati, you need to login to your Technorati account. If you are not already registered, register a free account with Technorati which will take only a couple of minutes. Once you are done with the registration, go to Your Account page. 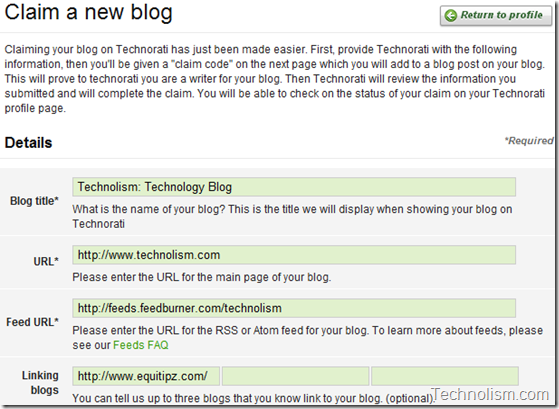 In your account page, go to the My claimed blogs section and enter the URL of your blog and click on “Claim” button. After clicking on Claim button, you will be taken to the next page where you need to enter the details about your blog like Blog title and description, blog category, tags and feed details. Make sure you select the blog category and enter the tags very carefully. Once you are done with adding all the details on this page, Click on “Proceed to next step.” You will be shown the below confirmation message after which the next step is to wait for an email from Technorati which contains the claim token. 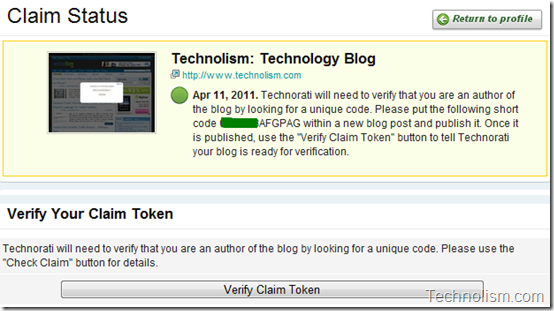 After you have submitted your blog details, you will receive an email from Technorati having the Claim Token which you need to include in one of your future blog posts. Once you have published the post containing the Claim Token, click on the “Verify Claim Token” button to trigger the claim of your blog. 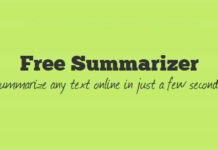 It will take a couple of days after which your blog will be successfully claimed and added to the Technorati directory. How to submit your Site / Blog to Yahoo Search Engine? 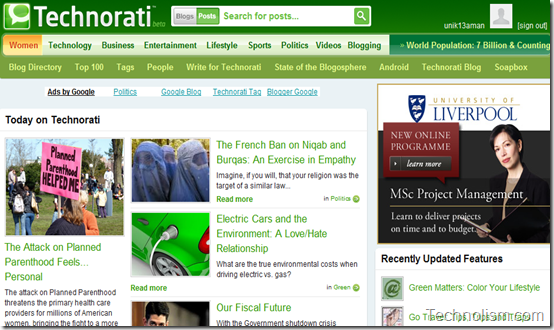 Do let us know if you have already submitted your blog to Technorati and if it is benefitting you in any way. 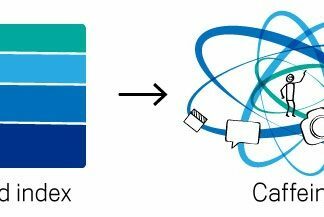 If you have not already done so, it is worth spending some time and getting your blog indexed in the leading Search Engine for blogs. Next articleAirtel and Aircel to bring Apple iPhone 4 to India soon!! Indeed these are all great things to do to your blog. I have recently started my blog and have learnt a lot over the last couple of months. 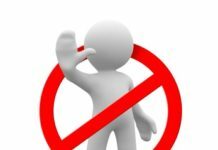 still i have not submitted my blog to Technorati but now i am going to index my blog…. What now technorati do not support the language from non-english ?